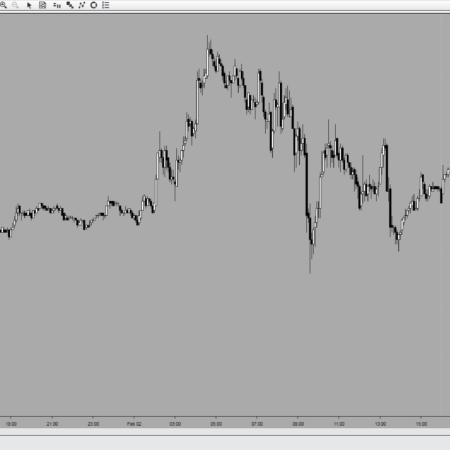 Volume Profile – NT8 Only! Trial/Lease – Available on TS AppStore! Draw Panel – Color/Style – Coming Soon! Vwap Plus – Coming Soon! We are also very close to having a few more of our NinjaTrader 7 indicators ported for use with TradeStation 9.5, and will also be offering one time purchase options for all these indicators. Please Contact Us for ANY of Your Personal Custom Coding Needs! Live Training Room – Coming Soon! Please Contact Us for a FREE Consultation in order to Review and Discuss Your Personal Needs! Video's Best Viewed in HD! Sign Up Now to Receive Your Free Copy of Our "NT8 Chart Share Add-On"! 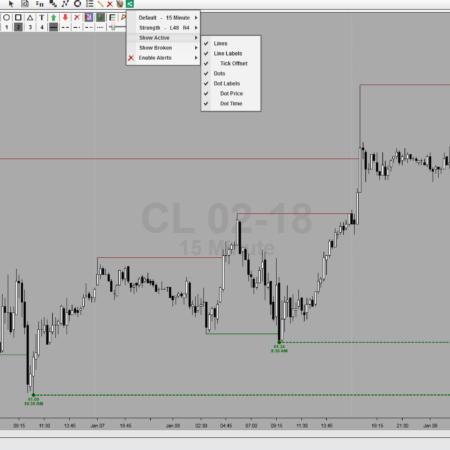 Our NinjaTrader 8 Chart Capture Add-On Provides a quick and easy “One Click Solution” to capturing an image of your chart and Automatically Saving that image to a predefined folder in your documents. Once installed, this utility will Automatically Add our ChartCapture Icon to Each and Every Chart without any additional user configurations. It even saves the image file name with the instrument and dataseries of the chart, along with the actual time it was captured. It Really Couldn’t Get much Easier or Better Than This! 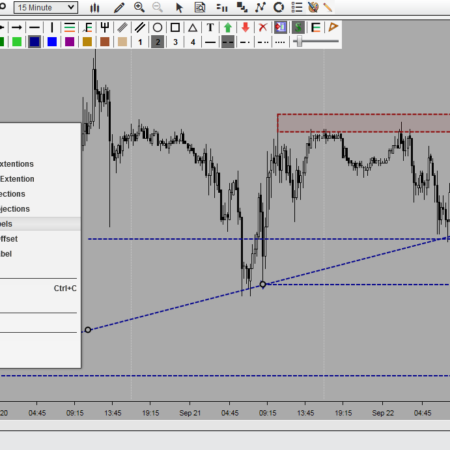 “One Click Solution” to capturing an image of your chart and Automatically Saving it to your hard drive. 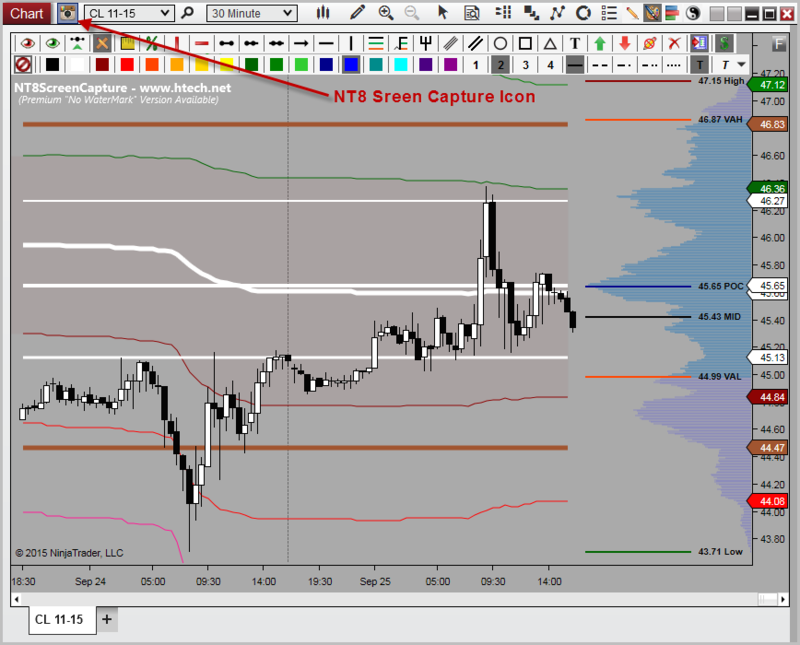 Automatically Adds a ChartCapture Icon to Each and Every Window/Chart/Tab without any user configuration or interaction. With a Single Click of the Icon – Automatically Captures and Saves an Image of your Exact Chart to a file on your computer. Automatically Saves and Names the image file with the Instrument and DataSeries of the Chart, along with the DataTime Captured. No More Guessing! Just by Looking in your folder, Quick and Easily determine what Instrument, Chart and Time any Saved Image File is of! Capturing, Saving, Storing, and Organizing your Chart Pics just couldn’t get much Easier or Better than this! 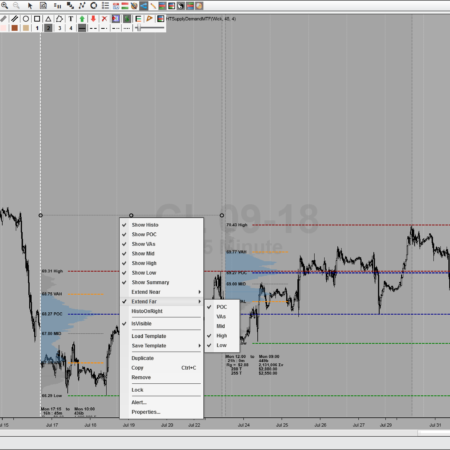 Notes: Like NinjaTrader 8, this product is currently in beta. It is possible that future versions of NT8 could cause this indicator to error and/or stop working all together. Although I’ve done my best to test this code in a wide variety of situations, it is also possible that a bug might be found with wider distribution use.. If either of these situations occur, and/or you experience any type of problem with this product, Please Contact support@htech.net Immediately and I will do my very best to provide an updated version as soon as possible. The free version of this product being provided here does contain a small watermark as seen in the pic above. A premium version that removes this, should be available soon at a very nominal cost. Disclaimer: By Downloading this product, you acknowledge that you have both read and agree with all of the terms and conditions outlined in our Full Site Disclaimer!. 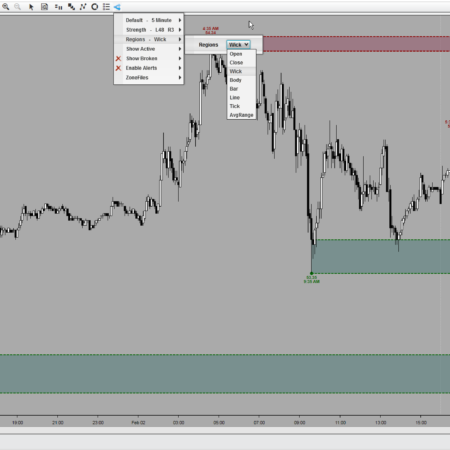 This product is a customized NinjaTrader 8 add-on, it has been exported as a compiled assembly from NinjaTrader v8 Beta5, and has been obfuscated to protect what is both the physical and intellectual property of High Tech Trading Analysis, LLC. In such, High Tech Trading Analysis, LLC. is only granting the permission of use, and only to the actual person that registered on the signed-up form above. Any other use or distribution of this product, to anyone, in any way, is strictly forbidden without prior consent. As Always, when installing any new piece of software, it is always recommended to do a complete backup of your system and software prior to that install, so that if by some odd chance something unexpected happens, your able to role back and restore painlessly. This product has no warranty, and High Tech Trading Analysis LLC will take no responsibility for any damages that might occur with it’s installation or use. Futures, foreign currency and options trading contains substantial risk and is not for every investor. An investor could potentially lose all or more than the initial investment. Risk capital is money that can be lost without jeopardizing ones financial security or lifestyle. Only risk capital should be used for trading and only those with sufficient risk capital should consider trading. Past performance is not necessarily indicative of future results. View Full Risk Disclosure Here. Although all Product Reviews/Comments appearing on htech.net have been left by verified customers, their personal experience may not be representative of other customers and is not a guarantee of future performance or success.